If you’re like me, you’ve got a tall stack of how-to books by the bedside table as a sort of internal Q & A to your most perplexing parenting problems: am I a good enough mother? Will my kids turn out OK? What am I doing wrong? Reading others’ stories (whether personal narrative/memoir, research-based, or straight up how-to) can help tone down the freaky parent within us. Here are four newly released titles that’ll keep you up at night — in a good way. Already the biological parents of a 7- and a 5-year-old, the Knoblers adopt Nati, a 5-year-old Ethiopian “exuberant, loud goofy boy” into their once quiet and peaceful family. Knobler unsuccessfully tries to turn his free-spirited son into the “quiet, neurotic Jewish kid” he had once been, chronicling the daily ins and outs of Nati’s curious introduction to his new American surroundings, charting the family’s journey all the way through the kids’ high school years. For Knobler (and for many of us) the real answer lies in letting go. “Most of the really bad parenting I’ve done has been done in the self-righteous name of “making sure they don’t grow up that way,” he acknowledges in one of his many confessional musings, a sentiment that many of us can certainly relate to. Still, for the reader, the biggest lesson is how Knobler learns to see things through his son’s eyes — giving us a new lens for looking more closely at ourselves. Imagine a world where children never fight or interrupt you during dinner, and childcare is free. No obesity, no unemployment, no homelessness, no divorce, and definitely no Minecraft addicts are far as your eyes can see. How do the Amish do it? “Happiness is seen by the Amish as a byproduct of their godly life, not a goal in itself,” explains author Serena Miller, and everyone follows “uffgewa,” the concept that no one individual is more important than the others. The rules are firm, the kids have real responsibilities, and everyone benefits from living in a connected community. I most enjoyed the priceless scenes when Miller interviews Amish mothers about their parenting techniques, and she’s met with puzzled bemusement. For the Amish, there are no “parenting styles,” harried routines or fraught decisions over private schools or sports teams. 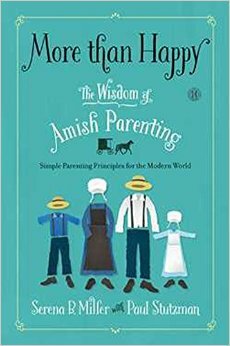 As the chapters demonstrate in great detail, the Amish dutifully do their share and their children are joyful and well behaved, not because they’re aiming for some abstract ideal, but because their lives literally depend on it. 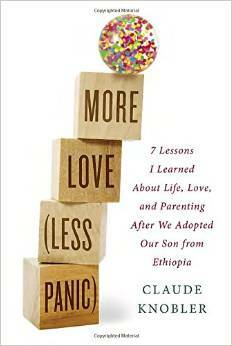 Who among us hasn’t grappled with the decision to leave our children in the care of someone else? Licensed therapist and parenting coach Tammy Gold takes parents step by step, detailing how to achieve “constancy of care,” tips and scripts for interviews and trials, and advice for handling transactions. Did you know that most parents do more due diligence when buying a car than they do when hiring their child’s caregiver? Gold dissects each part of the process, giving readers step-by-step advice on how to find the right fit (hint: it does not involve referrals from friends and Gold explains why) including how to conduct an awkward-free interview, clearly outline the job responsibilities, how to be a good boss, and how best to deal with those tricky issues that always seem to sneak into the parent-nanny equation: guilt, anxiety, cultural barriers and socio-economic inequalities. 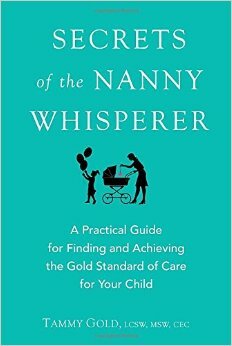 While the book is primarily written for parents in mind, Gold does a great job of detailing the caregiver’s perspective at times, pointing out pitfalls that may not always be obvious to certain parents (no, the nanny does not want to “vacation” at your vacation home and yes, she knows exactly what’s going on in your marriage) all while offering sound solutions for a long-lasting win-win relationship. Children are hyper-aware of money, and they have plenty of questions about its nuances. Good parenting means talking about money with our kids. Such is the premise of New York Times personal finance columnist, author and father, Ron Lieber. What’s the best way to handle allowances? The tooth fairy? Chores? Bank accounts, name-brand clothes, birthdays, holidays, charity and college savings? When you think about it, almost everything we do as parents has money of some kind at its core, and our kids are paying attention, whether we talk to them about it or not. 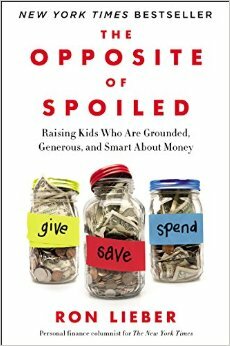 Written in a tone that is values-based without being preachy, Leiber offers real-world, highly researched advice for raising kids that are financially savvy, generous and not-so-materialistic. This isn’t a primer limited to “rich” parents; rather, Leiber’s sound examples and anecdotes cross a wide spectrum of family income levels. It’s all about creating honest conversations about money: Are you ready to sit down with your kids and walk them through your monthly bills, bank statements and budgets? Should you say “enough!” to excessive birthday party gifts and instead organize your community around a charity drive? Are you okay with your kids being among the last in their peer group to get a cell phone? Would you be willing to downsize your home by half and let your kids decide where the money goes? Lieber gives readers the low-down on all these grand ideas, plus so much more.